It is a breezy evening and the Delhi weather is perfect for some retail therapy. Nehru Place, the city's prime IT market, is chaotic. A light drizzle has created puddles which are hard to avoid. Still, there are customers in the computer hardware stores. They see the products in some detail, turn them upside down, ask the price and walk out - they make no purchases. Most of them plan to go home, open their laptop and buy the same stuff online. They come to brick-and-mortar stores for enquiries and to sample the product; actual purchase happens online where the discounts are huge. Neeraj Munjal, who owns a mobile devices store called Dhruv Sales & Marketing, whips out a calculator to show what an Apple iPad costs him. 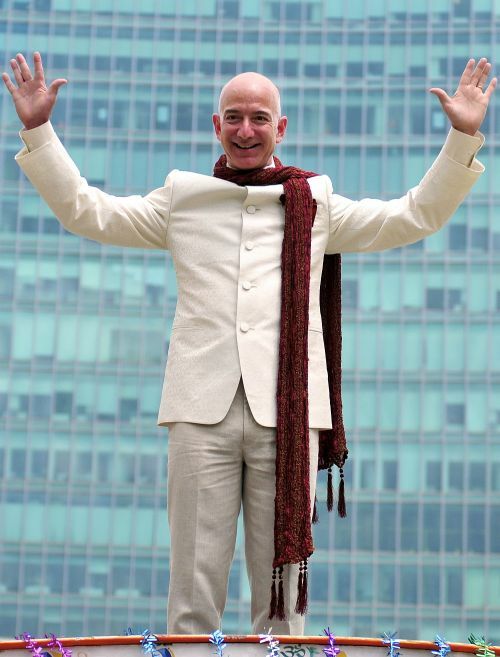 He then logs on to Amazon where it is available for almost 4 per cent less than that. Business, understandably, is down. While he used to sell up to 12 iPads a month last year, these days he rarely sells more than eight. Rock-bottom prices offered by e-retailers, he says, have proved worse for shopkeepers like him than FDI (foreign direct investment) in retail. "An early retirement looks like reality now," he says. Munjal and others have reason to be worried. Online shipments were 7.6 per cent of all mobile phone sales in December 2013, according to International Data Corporation; by June, these had climbed to 10.4 per cent. These numbers are sure to rise further because popular brands like Motorola and Xiaomi are selling their new models online. The All-India Mobile Retailers' Association is lobbying the government, at the centre as well as in the states, to contain "predatory online prices", and has convinced Samsung to launch some key models only offline. "Today, it is unethical prices. Tomorrow it could be unavailability of products, leading to a monopoly of these e-commerce giants," says Dhiraj Malik, the secretary general of the association, with visible anxiety. 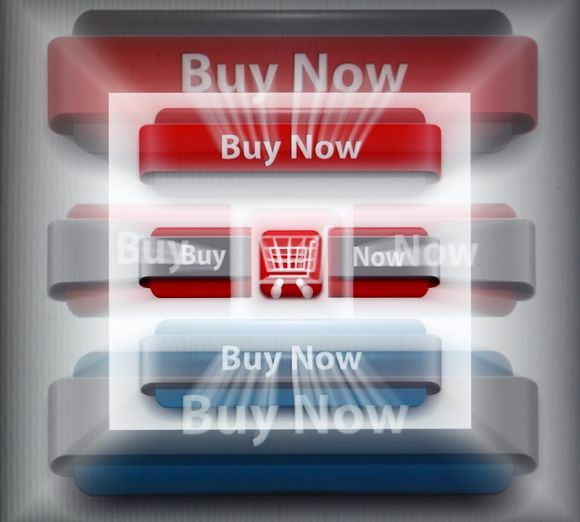 Other sectors too are seeing buyers moving online in droves: books, footwear, watches, spectacles, apparel and travel. Even car dealers may have cause to worry because Snapdeal, the homespun e-retailer, now even sells a car, the Mahindra Scorpio. Online greengrocers have become active in some areas of Bangalore, Mumbai and Delhi. Even those who sell cinema tickets in black will feel the heat. Tickets for Agadu, the latest release of Telugu superstar Mahesh Babu, were recently spotted online - at a premium, of course. With buyers from big cities and small towns alike preferring to shop online, the country is at the cusp of an e-retail revolution. A July report by Technopak Advisors, a retail consultancy, says e-retail will rise from $2.3 billion (for financial year 2014) to $32 billion by 2020. This can also be seen as a potential loss of business for offline retailers. The shopkeepers - there are over six million big and small stores in the country - watch helplessly as business erodes slowly but steadily. Ghaffar Market in downtown New Delhi is a bustling marketplace. Divided by just a road from its upscale neighbour, Ajmal Khan Road, it hides numerous vendors in its labyrinthine lanes: crockery, apparel, footwear and, above all, mobile phones and accessories. Gurjeet Singh, who owns a small mobile accessories shop, looks at my Moto G and asks if I bought it online. When I tell him that it is only available online, he says with a smirk: "You'll find everything here." He wants to convey optimism; I sense nervousness. "Our customers come to us for things that are not available anywhere. 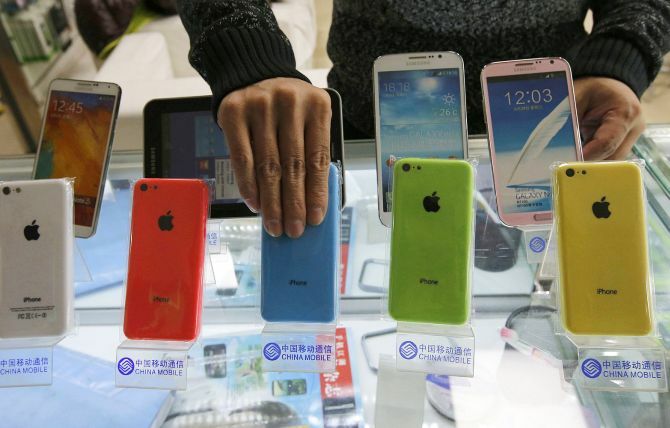 You'll find the new iPhone here a day after it is launched in the United States," he adds. "There are many cash-rich customers who come from Punjab and cannot wait for 10 days for a phone to be delivered to them." Singh wipes a Nexus phone clean and pastes a screen guard over it. "See, you can buy these things online, but you'll always need people like us to put them on your phone." Shopkeepers across India are banking on this "personal touch" to survive in the days to come. 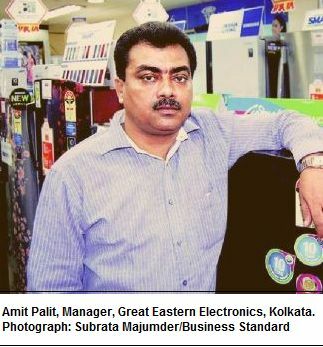 Amit Palit, the manager of Great Eastern Electronics, one of Kolkata's oldest electronic appliances stores, says: "I assist my customers to select a product. They will never experience this while shopping online." But these only seem to be straws of hope that most shopkeepers are clutching at. The same products that Palit fondly shows to his customers are flying off the shelves of e-retailers. The despair is hard to hide. Malik, who owns mobile-phone stores in Delhi's New Friends Colony and Yusuf Sarai, says: "Earlier, we used to educate our children so they could eventually join the business. I'm definitely forced to reconsider that today." The old myth has been busted that shopkeepers of non-commodity categories like apparel and jewellery are safe from e-retail because Indians like to touch and feel before they buy. Aided by a liberal return policy and cash-on-delivery, everything from designer wear to regulation trousers and socks are selling online. Shopkeepers in Sarojini Nagar, Delhi's go-to place for street wear, are edgy. They see young women - seasoned bargain hunters, all of them - look at dresses and walk away, saying they're cheaper online. Till last year, shopkeepers could demand whatever prices they wanted. "But now when you go to Jabong (the online fashion store), you see clothes that are both branded and affordable," rues a shopkeeper. He has dropped prices by 10-15 per cent. About 270 km southwest of Delhi, the general response to e-commerce in Jaipur is denial. Most fabric and apparel wholesalers smirk or glare angrily when I mention online shopping, and refuse to be drawn into the subject. A shopkeeper in Bapu Bazaar, requesting anonymity, says his boss has a flourishing business online, though he doesn't like talking about it. 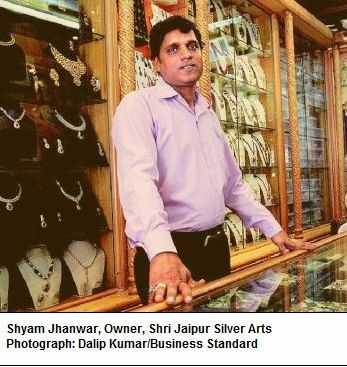 The only exception is Johari Bazaar's Shyam Jhanwar, owner of a jewellery store called Shri Jaipur Silver Arts. "We tried the online channel, but couldn't keep up with the emails and requests. We need to hire someone with technical knowhow for this," he says. He was approached by Snapdeal to enlist as a retailer a week ago. "My biggest worry is products being returned. That doesn't happen when you sell jewellery through the store," says Jhanwar. The Snapdeal visit is recounted by several shopkeepers I visit, who have retained the company's card for amusement. Little are they aware that Jaipur is one of the most popular Tier-2 cities with e-commerce websites. -The category worst hit by e-retail is books, of course. According to S C Sethi, president of the Federation of Publishers and Booksellers Associations in India, nearly 200 bookstores have shut down in the last two to three years. But some feel there is still life left in the business. According to Praveen Khandelwal, national secretary general of the Confederation of All India Traders, though bookstores were the first to be affected, the share of e-retail is only about 18 per cent. "Those who buy books online are only looking for expensive titles and bestsellers. E-retailers do not sell regional literature, educational books and small publications," he says. Priti Paul-owned Oxford Bookstore, a niche bookstore in large Indian cities which also has an in-house cafe, hopes to brave the storm with its promise of a carefully-selected range. "It is just a minute segment of customers with a pre-determined list who are swayed by the online offers. 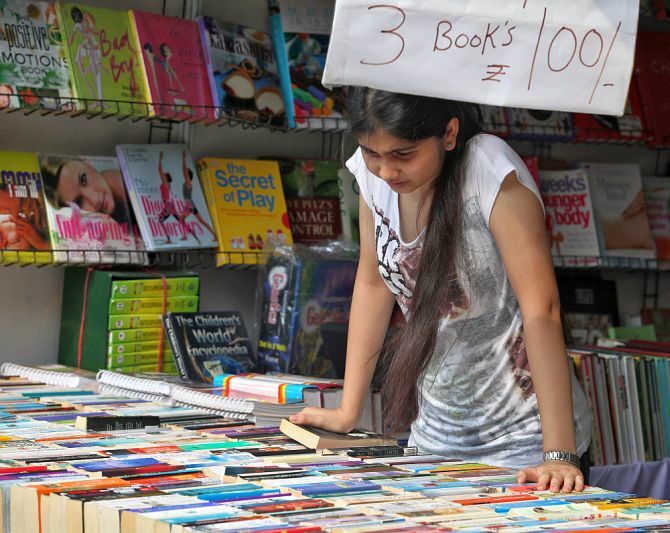 For the serious buyers, the charm of browsing in a brick-and-mortar bookstore is still intact," says Swagat Sengupta, country head (operations and purchase), Apeejay Oxford Bookstore. Some retailers feel salvation lies in bringing down the China wall between the online and offline channels. Thus, multi-brand electronics retail chain Croma offers the "order online, pick-up from the store" option, a hybrid model which may check the loss of business to e-retailers. Ajit Joshi, managing director and CEO of Infiniti Retail, which owns Croma, says that while the brand is making strides in the online space, it will not put its expansion strategies for brick-and-mortar stores on hold. -This confidence is somewhat missing amongst smaller retailers. Despite the start of the festive season, consumer electronics stores in Delhi's RK Puram are nervous. "More and more people come to us with complaints that our prices are higher than online prices," says a shopkeeper here. Buyers use online offers to squeeze bigger and bigger discounts from these retailers. The impact is serious. The shopkeeper worries if he would be able to send his daughter abroad for studies now. "It is just a matter of time." The anxiety of shopkeepers has spread to shopping malls. Faced with dwindling business, stores want them to reduce rents. Those with vacant space find it difficult to get buyers. One mall in a Delhi suburb is known to have appointed a consultant to suggest how to take on e-retailers. "The sizes of showrooms within malls and complexes have become more efficient," says Shubhranshu Pani, regional director for retail services at real estate consultancy Jones Lang LaSalle India. He sees commercial complexes and shopping centres move towards a more service-oriented model, with a greater number of high streets that cannot be replicated online. "These physical marketplaces, especially the ones like Khan Market in Delhi and Linking Road in Mumbai, will be attractive for the tourist buyers," he says. Yogeshwar Sharma, executive director of Delhi's Select Citywalk Mall, says a complete change in retail will happen in the next five to seven years: "Standardised products such as mobile phones will go online and some percentage of brick-and-mortar stores will perform an exhibitory function." But he adds that malls will always remain relevant because of the social experience. "You can't celebrate your birthday online! People come here for the sense of an occasion and to flaunt fashion as much as to buy it." Arvind Singhal, chairman of Technopak Advisors, suggests that malls will have to completely rethink their tenets and rely heavily on the social interaction aspect to remain relevant. "Food is the largest entertainment," he says. Sriram Khattar, CEO of DLF's rental business, says that the company is looking at various options to leverage e-commerce to enhance the customer experience at its malls and provide a contemporary backbone for its retailers to benefit from them. "Nearly 25 per cent retail business in London's malls happen through this model where you browse online and pick up the product from a kiosk at the mall at your convenience," he says. Meanwhile, the e-retail revolution has started to impact fast-food chains as well - all of a sudden, they find delivery boys hard to find. Most of them have been poached by courier companies for e-retail. Ecom Express, a new company which specialises in delivering online orders, has got 2,200 delivery boys. Compared to 5 million deliveries in 2013-14, it plans to make at least 20 million this year. Naturally, attrition is high and salaries have begun to climb steeply. The extra cost comes out of the bottom line of the fast-food stores. India today is a country of unsure shopkeepers.